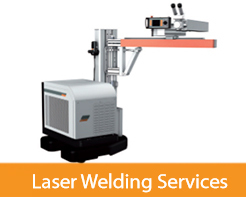 The Laser Welder combines flexibility and stability in servicing and repairing small precision components for the aerospace industry as well as large diecasting molds that are, for example, required for the manufacturing of automobile bumpers. The mobile laser system can easily be moved and fixed in a stable position by means of the brakes. Mold polishing is a very important step that allows a mold to work properly and to produce a part that is both functional and visually attractive. Interlab is a full service mold and die finishing company with a reputation for high quality polishing backed up by over 18 years of service to American industry.